New York’s Mark Hotel has introduced a holiday spin to its year-round Pedicab services this month. 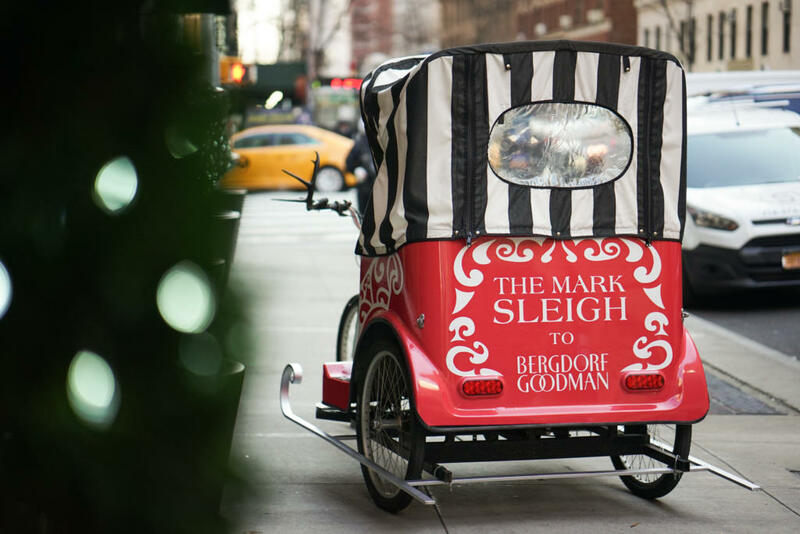 The Mark Sleigh, in partnership with luxury department store Bergdorf Goodman, will be available through the holiday season to take you for a ride around the city. The signature black-and-white striped Mark Pedicab will be decked out in a new holiday red design accentuated by seasonal festive features.